Pediatric Dentistry: What is the Salary of a Dentist? I titled this post "Salary of a Dentist" because many people use their search engines to answer that question. I have a problem with the question itself. Most Dentists do not make a "salary". They are self-employed. What you really need to ask is what is the net income. That is income after paying overhead expenses. Well, from what I can tell that varies greatly with each individual and with any given point in a career. Generally, you will eventually be in the top 10% of income earners in the U.S. I am writing this for the aspiring dentists out there. Just remember, nothing comes without hard work and a love for what you do. Well, how much does a dentist make? If you want reasonably accurate statistics, go to the ADA web site. They have reports (which you may have to pay a small fee to get) that report gross income, net income, etc. for various dental specialties. I have to say that most of these studies are a couple years old. The sample size is quite small for specialties as there are just not many of us. In addition, many of us, myself included, do not have enough time to fill out rather long survey forms from the ADA. Therefore, data may not reflect reality, but what they have is probably the best available data out there. Other sources might be government agencies (census, hhs, etc.) Cnn/Money lists "Dentist" in the top ten highest paying careers and Oral Surgeon as number three. Although their numbers are not quite accurate as I have explained here (I actually think their numbers are a little low), you get the idea. One might say I shouldn't talk about salaries this way. All I know is that I want my neurosurgeon, my airline pilot and my dentist to be the most skilled caring professionals out there and I want them to be happy and well compensated. Update June 2011: An ADA survey (2009)related that general practitioners earned an average of $207,210 and specialists at $342,270. 1. Dentists in general and dental specialists in particular spend lots of time getting their education. That means while their peers are already earning an income, dentists are still in school. In fact that education is quite costly. Most dentists end up with $100,000 or more in debt upon graduation. Ouch! 2. Once a dentist graduates college (assuming 4 years there), he/she has four years of dental school followed by a minimum of two years of specialty residency. If someone is 18 upon entering college, that figures out to being around a minimum of 28 years old when you are ready to earn an income. I have noticed that many are much older than that. 3. If you do the math, it's going to take a lot of income to make up for lost time (income), lost investments, and to pay off all that debt. 4. Once you start "practice", you will fall into one of a few categories: private practitioner (and owner of a business, your practice), salaried employee or associate, or a salaried employee in an academic institution (or the military). -If you are salaried as an employee or an associate, the "salary" term is more appropriate. You will make a good living. I am guessing in the more than $100k range. The U.S. government list the median at $130,000. (Update 2011: Salary listed as $142,000) It will not change much over time if you remain an employee dentist. In Pediatric Dentistry in particular, I have noticed that starting "salaries" have been going up in the past few years as the demand for pediatric specialists is increasing. -If you start out on your own, you will initially not make the same income as your peers. In fact just starting a business means you will likely have a negative income for the first few years! As time goes on, and if you do the right things, you will eventually "make" more than salaried employees, but again you start out very slowly. You have to use your "income" to pay off school debt, pay off business loans, invest in dental equipment, and of course pay lots of taxes. Eventually however, some of the top professionals earn several hundred thousand per year. That is, probably $400 to $600k/yr or more. Oh, when you have increasing income you will discover the bite of higher tax rates. So, you really have to earn a lot more to realize any real increase. Also, as a business owner you will spend a lot more time on business issues (after hours and weekends). -The best arrangement, I think is to start out as an associate of another dentist or dentists with a "salary" leading to a transitional stage where you earn more as you work more, followed by "buying into" a practice, thus becoming an owner or part owner. That will allow you to earn a reasonable income the first few years, pay off debt, learn more about the profession and patient care, and then transition into being an owner where you will do quite well. All this takes time. 5. It does not hold that any one specialty (or general dentistry) is more lucrative than another. Some specialties from time to time are in more demand and therefore will get more income. 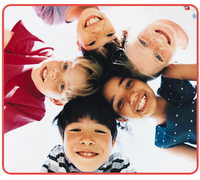 Pediatric Dentistry in particular right now is in great demand with limited supply. It has more to do with the business situation you are in and what you do with it. Your academic credentials help you make a good income but it's being in business that makes the largest incomes. Your interpersonal people skills can make all the difference as well. If you are a crummy dentist with poor people skills who doesn't care about your patients, you will not do very well. In fact you need to find another line of work. Our patients deserve only the best. 6. Once you start doing well, you must invest any savings wisely because many dentist do not work till age 65 and are prone to health problems like back trouble that might cut a career short. However, a dentist who has the ability and desire, can work well into his 70's or beyond. One more thing, you will do a lot better than most physicians. * Update June. link--> 2012 highest paid professions-again goofy statistics here, but still dentists are #2 here. In summary, if you are a young dentist, you will earn less than an older more experienced dentist. Being a great dentist and business owner with good people skills is more critical to long-term income than is your specialty, but specialists generally receive higher incomes. You usually start out with debt and a low or even negative income. Eventually, you will do quite well and make up for all the "sacrifice" over the years. It is a blessing to be in a country (The United States of America) that will allow a reasonable reward for your education and all that hard work (and it is hard work). If you love your profession, love your patients, are skilled and compassionate, have high ethical standards, have good business skills and good people skills, and work hard, dentistry is a financially rewarding profession. Sweet..i think i am going to be a dentist when i get out of high school! I think if I put my mind to it, I will become a dentist. I think that was very interesting to read. I'm in my fourth year of dental school and enjoyed what you had to say about the profession. It is tons of hard work but well worth it. Just to give different view of dept and some other things...I'm graduating from a private school and will have close to 300,000 in school loan dept. Over half dental schools are private and have high tuition. The good news is that the money is easy to get with the high earning of potential of dentists. I've tracked at least a dozen friends that have graduated and have gone on to start there own practices. None of them started out negative for more than a month or two and were able to do well right from the beginning. With all the good marketing companies out there, in the right area, starting a practice is pretty easy. Also, doing a residency straight out of school is a good idea but not required. My class has 105 students and only about 12 have decided to continue with a residency. That's one of the great things about dentistry, no residency. So, all in all I did 4 years of undergrad and four years of dental school. I hope this helps and encourage anyone out there to pursue dentistry, it's a great field with great rewards. There are several ways to finance your education. However, I would first concentrate on getting through college and obtaining a degree. There are scholarships, loans and grants available for dental school just as they are for any university education. Some are based on economic status and a few on other factors. You will need to contact the admissions office of the dental school(s) to find out what is available at that particular school. i am a sophmore in college. I've not been trying my best in school and my GPA is pretty low. I've been thinking about my passions and my future lately and thought about dentistry. I am working as a research assistant this summer and possibly the following summer also. Like I said my GPA is very low. it is 2.5. Do you think I still have chance to get into a dental school? I am almost scared that I would spend the rest of my two years trying very hard in all the science classes and would get rejected from every dental school. I guess my question is ...is it too late to try? Is Dentistry really worth all the education? I have a friend that after college he did some business venture and then after those failed and at around 28 or 29 he decided to go to Dental School. $ yrs later he graduated is continuing on to a specialty dentistry school which I think he told me is like another 3 yrs of practice and like another 4 yrs of school for his specialty practice. He'll be roughly around 40 41 or older when he graduates and starts practicing as a dentist. Mind you all the Debt he has incurred has to pay that off first probably 150,000 actually more realistically $300,000 to $400,000 and that will probably take 5 to 10 years to get that paid off then start earning an income. Well by the time that is all paid off and he starts to earn an income he'll be nearly 50 yrs old. Doesn’t seem like it's really all cracked up to what people make it to believe. I wouldn't want to be in my mid 40's and have to worry about debt and be around 50 by the time I get it paid off. I think Dentists are overrated. You can go far with your passion. Grades are important however. I would say that if you can show improvement in recent grades especially in courses such as Organic or Bio Chemistry, that would help. They will look more closely at you recent grades than those earlier. Dentistry is more competitive these days--pays to be as good as you can no matter what. If it does not work out then you have a good experience and record to build on. Are Dentists overrated?--depends on who is doing the overrating and what the expectations are. You can read this post for my observations. It's definitely overrated if you are not cracked up to do it, but that's true of pretty much anything. It's hard work. If what you are concerned is only income you can certainly say that dentistry is a stable income--not likely to get "laid off" when the economy turns South. Remember, whatever you do for a living does not define ones character. Dentistry is more than a job, it is a Profession. Awesome....but what about the high suicide rates? Been a long running joke as far back as the Bob Newhart Show in the 70's.. From what little I know, not any different than any other profession. Go to respiratory therapy school. Only takes 2 years to complete. No huge loans to repay, no litigation to worry about and responsibility is minimal. I paid less than 5K to complete the program and I made over 82K last year and am on pace to do the same this year. Most MD's I've met over the course of my career are more interested in the recognition than they are in patient care. Not good enough for you, do like my wife and give nurse anesthesia a try. This field requires a masters degree which has a higher yearly income greater than most general medicine doctors. Yearly average is 180K here in TX. I agree that Nurse Anesthetist is a great profession. I work with them often when we do cases in the OR. Highly trained and smart people. I don't know if you still read up on this blog but I just came across your post after 3 hours of career searching. I've just finished my first year of college, thinking that I was preparing to become a pediatrician (I love working with kids) just to find out that I really don't think that I am interested in the med school and residency process. I felt so lost after searching through tons of career websites, none of which caught my interest. I always thought that dentistry was not a bad occupation but I had never actually thought about it as a career option. However, after seeing the words pediatric in front of dentistry, I was suddenly contemplating it and typed it in the search engine which led me to your blog. After reading it, I felt so much more certain and have become even more convinced to pursue dentistry. Also, would you recommend that I begin working at a dental office to gain more experience and knowledge of the field to see if I want to pursue it for sure? In your opinion, if one wants to pursue becoming a pediatric dentist, what should one obtain a bachelor's degree in? Also, is four years the minimum required to become a pediatric dentist? Usually the requirements to enter dental school would lead one to be fairly close to a degree in Biology or Chemistry. However, I have seen dental students majoring in History, Accounting, Pharmacy, etc. So long as you get the basic science requirements, it doesn't matter what the major. It does matter about grades and many other things. Check out my other posts on dental school. Basically, 4 years of dental school followed by two years of residency n Pediatric Dentistry. Yup, a long road. What no one seems to advice is shadowing time in a dentist office. Before you take your first step towards dentistry, you MUST SHADOW!!!! I thought I wanted to go to med school, and so I went into private practices and the OR and realized I was indifferent about medicine (the physician has to worry more about billing logistics/insurance compensation than the patient). Once you realize what you want to do, simply strive for A's in all classes. If you come up short in a few, no big deal. Everyone must realize that a dental school has a finite number of seats, lets say 80. So who would the dental scool rather take.....the ones with the best grades/shadowing experiences/ and personalities. I'm entering a dental school that took 700 applications and accepted 80 students. It is very competitive now so you must have a well rounded application! As an entering dental student, I strongly disagree with anyone who says that a student should be a biology/chemistry major. Ask any practising dentist what they most lacked when entering private practice and they will all tell you they were mal-informed on the importance of business. Anyone wanting to become a dentist, im sorry but you will be equally a business individual as well. So major in business, that way you only take the core classes needed for dental school and do not have to waste time studying biogeography, mycology, taxonomy, botany, and other classes that you will not use as a dentist. Your knowledge of these course will be covered in general biology. I have an undergraduate degree in Business Administration and minored in biology. I graduated in May of 2006 and have been working as an IT analyst for the past two years. My dad has been a dental lab technician for 30 years so I grew up around dentistry and know that it is something I am very interested in. My first two years of college I took the majority of my science courses including general biology 1 and 2, general chem 1 and 2, physics, genetics, and calculus. I didn't have my priorities straight when taking these courses, and my grades were primarily B's with a few A's as a result. I think my science GPA is somewhere in the 3.1 range. I then took the business path and finished my undergraduate studies with a 3.5 GPA. I am thinking about pursuing my goal of becoming a dentist, and was wondering if there are other courses I need to take prior to applying to dental school. Also, would you recommend retaking courses to improve my science grades? I know that taking the courses with my current perspective on education would improve my grades. Any advice you can give a person aspiring to make a career change into the dental field would be greatly appreciated. I am no expert on dental admissions, but I would suggest talking with the admissions office at your preferred dental school. As far as grades, things are competitive, but an improving grade profile is a good sign. Also, experience (like the IT stuff) outside the sciences is good too, especially demonstrating "people" skills. Good Luck. dentistry is sweet. only problem is you have to be crazy smart and have mad hand skills, unlike med, where you can get away with being a klutz. dental schools are also keeping admissions artificially low to protect the profession (demand>supply). our class had an average entering GPA of 3.75, and an average DAT of 21. There's three people with 4.0 averages through undergrad. Three people left during the year - two couldn't handle the course load, and the other one switched to med because he couldn't cut it in clinic. That's the real kicker in dentistry. You can have studied your brains out, but if you lack the ability to work on that millimetre scale you're hooped. Before entering I thought if there was something I couldn't do I'd just practise until perfect, but the reality is you're staring at the standard first year med curriculum on your to-do pile, and you don't have time to fool around. If you can get in and cut the mustard great, you're set up for life in the profession's gold age. Baby boomers are keeping their teeth, retiring dentists outnumber new grads, and the demand for aesthetic/cosmetic dentistry (read:$$$) is on the rise. But don't get your hopes up before checking the school's websites and seeing your competition, because it's fierce. If you're thinking nurse vs DDS you're kidding yourself. It's MD vs DDS if you're looking at undergrad gpa, and for manual dexterity it's DDS vs something like watchmaker, I don't even know what it compares to. Also take into account that schools limit "out of state" applicants to a very low number, and tend to accept mostly people who attended undergrad or live in their state, and your number of possible school choices takes a nosedive. Many people in our school hold Phd's or professional degrees in other professions, and worked their way towards the DDS, because they tried and failed to gain acceptance earlier in their university careers. But I mean, if you beat the donkey hard enough and gain acceptance, you're golden. I'm going to have just turned 25 when I graduate, and my only problem will be deciding whether to get my sister the porsche or the merc for her birthday. I'll work 3.5 days a week as an associate (make around 200K for my trouble), and build my own practise, which I will be king of, and make as much as I feel like working. That's the thing about dentistry that kicks med firmly in the rear end - GP's have the power. They can do anything they feel like, and only refer the scuttwork they don't feel like doing to the specialists. I will be able to chuck thirds, place titanium, do root canals, whatever. An MD GP (who has to do post-grad schooling too lol) can't do thoracic surgery, can't give his patient lipo, can't do anything fun (read:makes $$$). 200,000 st8 out of school is inflated, but this is this is close to right on. The big advantage of dental specialties is lower overhead in your office, which leads to higher net salary in the end. If you are really a money chaser, go for endodontics they clean up. Have fun staying top ten in your class and getting a 90 on the boards part 1 though. Tie minus 2 years till boards is pass/fail, ridiculous. Here is my recommendation if you want to clean up: do every root canal you can in dental school and get fast at it, after school do a one year GPR or AEGD where you place alot of implants. When you get in private practice do every root canal that does not slow you down. Give the crazy ones to a endodontist and place as many implants as you can (again that aren't to difficult give those to perio or OMFS). Sell cosmetic work as much as you can and invest in a good intra-oral camera. Remember dentistry is not like becoming a salaried office worker. Their are guys that have one little office with one assistant, and guys that own multiple practices and have many associates working under them. It is what you make of it. Also, move to FL., no sales tax and tons of baby boomers with money that need a lot of work. Well, I cannot answer if if it is worth it (for you), but even though it can delay a regular income, I do know several people that went through dental school married with children. It can be done. Study hard no matter your eventual decision. I am aware that colleges have summer programs. Can some of your pre-dental school be completed in summer courses to maybe be able to finish school earlier then 10 years of schooling? Many people finish college in 3 years by taking summer courses. You don't have to, but I would advise anyone to finish undergrad and get your degree first no matter how long it takes. I am a junior in high school and make decent grades, above a 3.5 at this point. I do well in math and am most likely taking AP calculus next year, but I make B's in honors science classes. I want to become a pediatric dentist but I don't want to waste my time and money on dental school if it is too hard and I fail the tests and everything. What would you recommend? You will not waste time or money in dental school because by then you will be sure that is what you want to do and they will not let you in if they think you will not do well. Study hard in all subjects. Your interests will mature as you explore subjects in college. Some people change their minds, some, like me do not and do achieve their intended goals. Many have entered dental school after establishing themselves in other career paths. If your grades are good, all doors will be available for you no matter what you decide. I am glad I found you site. I am 38 yo. I had decent grades in college (3.4) but not great. My major was computer Science and minored in Math. After doing a great deal of searching I have decided that I would like to become a dentist. I need to take some more science courses as I only took a handful the first time around. I typically do well in science so I am not worried too much about it. I have a good job which pays 90-100K per year. My question: Is Dentistry still a good option for me? I believe that if I do well in my final classes I should have a good shot at getting into a school. However, did I wait too long? Do schools favor younger people vs. older people like me. Do established offices or hospitals hire people like me (I would be about 44 when I graduated dental school)? I figured that I would probably need to work someplace else while working to establish my own practice. I have read that the median income ins 130-140K. So, I can figure that I would reach a positive ROI in my early 50's if I can reach that number. However, are these income levels different for non 20- year olds. I would like to make this change for many reasons (like to help people, make a difference, make good money...) but I also have a wife and 3 kids. I could not go through 4 years of no income followed up by less than I am making now. Any advice you have would help. Thanks. Most schools, ( state sponsored schools specifically), want a return on their investment. Lots of state dollars go into educating a dentist. Therefore there may be some reluctance to educate an "older" student who may not have that many productive years ahead of them compared to a younger student. Having said that, they are particularly interested in students with varied and full life experiences, so you have an advantage there. 44 when you graduate? Ha, I'm older than that, so that's funny you should think that "old". On the financial aspect, that's important, but I'd say follow your passion in addition to your wallet so to speak. I will graduate dental school this may and start Pediatric Dent residency. I have read through these threads in an effort to stay informed on the public perspective of dentistry. Most people I have encountered go into Endodontics because it is gratifying to take patients out of pain, and the specialty affords a great lifestyle with low overhead. Another reason, is really that implants as good as they are are no substitute for a natural tooth. That being said focus on comments listed by people like Dr. Brandon, because it is evident from reading his posts that he is a read dentist, who enjoys what he does. The good news is that admissions committees have an uncanny ability to filter money grubbing assholes out of the pool. Try it, try to deceive them. You won't, and if you somehow slip through you are only deceiving yourselves. Stay focused and it will be a lot of hard work, but just follow your heart and you will succeed! Great comment! Thanks. I do think we need more Endodontists. I currently attend a university as a third year sophomore. I am currently majoring in business/accounting but I have just decided that I want to go into the field of dentistry. The school i attend does not offer pre-med as a major so my plan was to do it as a minor with accounting as my major. Someday I would like to become a pediatric dentist and I really enjoyed ur piece on dentistry. I also play basketball for the school I attend so that takes a lot of my time. I have been told that i need to stop taking business classes and finish with biology classes. I have also been told that I should major in business and minor in pre-med. I guess my question is: should I switch majors or should I remain with the business major. Also, I was also reading the comment somebody wrote about shadowing at a dentist office and wanted to know your opinion on that for an undergrad student. First yes, checking out what dentistry is really all about on a daily basis by shadowing is a great idea. Working there part time in the summer for instance is even better. Secondly, just make sure you get the requirements for dental school, like Biology, and get good grades in them and all your classes. As I have posted here and in other posts, we had History major in our class and a pharmacist, etc. So, get the requirements, get good grades and get information about the field you may spend the rest of your career working with. Beyond that, take the classes you enjoy. Accounting and business are very useful if you go into private practice dentistry. One of my partners majored n accounting by the way! I am a second year dental student at UNLV Nevada. I'm getting ready to take my boards and am trying to decide if I want to specialize or not. I have thought about pedo and endo. I struggle with the decision due to the fact that i I may miss the veriety of a general practice if I do specialize. How did you come to the conclusion and are you happy with it. Well, somewhere in this blog or the comments, is more info that might help you make your decision. Read my posts on the dental specialties and related topics. As for me, I pretty much know when I started that it would be Pedo or Ortho. After actually experiencing all the specialties, I did like Endo a lot more than I thought I would-maybe because we had a pretty cool faculty there. I did not like Pros or Perio. Somehow I ended up where I am, and I am glad of it. Ortho is part of what I do, but I know I would not like it exclusively. Advice? Well, go to a pedo office and see what they do on a daily basis-stay all day if possible. -Certainly variety there. In endo, do the same. If you like variety and excitement (and stress)--pedo, if you like a more controlled environment-Endo-IMOP. If you need absolute closure-Oral Surgery-the tooth is out when it's out! I have been looking at the requirements for dentistry schools. Currently, I have only finished my bio classes and received C's in both classes. I was wondering if you think I should take them over or go with what i have. Also, I have two years left of undergrad. I went and talked to the pre-health professions advisor at my school and he gave me an outline that included the classes I should take. Do you recommend any other classes I should take.I was also wondering when I should start applying to dental schools and studying for the DAT. I am not a very good academic advisor, so I couldn't say which classes are best for you. I do remember that organic chemistry was a course many talked about as the one that is either so difficult, but you will know if you can hack it in med/dent. I loved organic and it was easy. I did not like inorganic as much. Physics was fun but calculus was reeeally hard. Grades--if you have read my other comments you will see grades are important. If you have C's that is tough. BUT, an improving grade profile is looked on with favor. In other words if you apply tourself and the grades begin to rise, they will notice. As with all that ask my advice/comment--I suggest doing something (as a career) that you have a passion for and love. Well, it's hard to love tough subjects or professions because at times they are tough, but either way good grades will stead you well whatever the choice. My advice? listen to you advisor, take something other than the sciences (most colleges require this anyways) to become more rounded, take organic or biochemistry. If you have the opportunity, look into dental schools and taking the dat preferably in your junior year (ask you counselor or the dental school advisors (at the dental school admissions department--contact them) (they are a lot of help!)) and work and study hard. Good luck! I am in 7th grade and want to become a pediatric dentist. i have to do a paper on a possible career and this helped a ton! thanks so much! Thanks for being more inspriring than negative. While you were realistic in the difficulties of becoming a dentist, there was also a tone of encouragement to the reader; unlike what i get from most websites. VERY HELPFUL! Hey, I’m a new blogger you can find here at http://toothpainguide.com, and your site is very related to mine; I thought it would be beneficial for both of us to do a blogroll link exchange. Please let me know if you’re interested. Dentistry is a great choice. I've been a pediatric dentist since 2001. My residency and postdoctoral masters degree in pediatric dentistry took an extra 30 mos., but keep in mind I had no tuition in residency and actually made about $30,000 each year. When I graduated I had about $100,000 in debt. I was an associate for 18 mos. at about $125,000 per year on 4 days per week. I bought partnership into my practice for about $300,000. Now, 8 years later at age 36, I have paid off my student debt, I own my practice free and clear, I work 4 days per week and make about $475,000 per year doing what I love. Those of you considering dentistry, stay focused-- dental school is not a substitution for not getting into med school. The avgerage GPA of most dental schools rival medical school. Make sure you spend time in a dental office before you make a decision-- dentistry is not for everyone. If you are going to dental school to be specialist (ie. orthodontist, oral surgeon, pediatric dentist, etc. ), make sure you'd be happy being a general dentist. A good portion of my dental class (maybe 30%) had plans of going on to orthodontics. If you are not in the top 10% of you dental class, you most likely will be a general dentist. Keep in mind, you are competing with students that averaged a 3.75 in college! Therefore, be sure of your choice and stay focused. You will be rewarded with a stable, lucrative, fun career where you can be your own boss. Are you located in Huntsville? Yes, Huntsville Alabama-The Rocket City. See the sidebar for a link to our main practice website and more info. Would u be interested in mentoring? Contact or office manager Bob Chambers 256-539-7447 to coordinate any "shadowing" or visits in the office. --but, sure we have students come by often to see what dentistry is all about. We do have a protocol so not just anyone can and it is often through thier school-(mainly for the privacy of our patients and liability issues). Im only 19 and I shake like an older man. Would that affect my chances of becoming a dentist? And if so do you have any suggestions on stopping or minimizing the shaking? I could not really say these days. Kid of depends if the admissions committee thought the "shakes" were so severe as to make surgical procedures difficult for you. Things may change over timeas far as your condition and any medications that might help. I think Michael J. Fox has early onset Parkinson's disease, but he still is able to have a rewarding career. Just a some nerves or something managable is not a big deal. Good luck. Either way persure excellence in academics and you will have a wide selection of careeers no matter what. Do you know of any dental hygiene programs in huntsville? Because I can't find any. Hi, I was just wondering if its hard to go to college to be a dentist when you have a wife and 2 kids already? Financially I mean. Plus, my wife and I would have to move 5 hours away from my all my family and friends so pretty much she wouldnt be able to work much because of having to be with the kids. Please let me know what you think I would appreciate it. Thanks so much! Going to dental school requires a LOT of time. It is difficult even for a single student much less one with a family. I have seen folks do will in dental school who are married and have a family. In fact one of my business partners did just that. I would advise thinking carefully about the rammifications for your family and make sure your spouse is on board and understands this. It can mean living on a pretty thin dime for a while if that is what it takes. Many have done this and succeded--good luck! I am 31 years old and have 3 young children.. 4, 2, and 9 mos. old.. I am a Master's prepared Nurse Midwife and have been doing it for close to 4 years now.. I have always had a dream to be a dentist ... I am a fanatic about teeth and am dedicated to serving my community.. I am contemplating applying for dental school, but not for a few years.. at least till my youngest is 4 and can go into school... Is it worth it for me to try, if i get in on the first try I would be like 40 when I graduated.. I have a very supportive husband.. and he is all for it.. I just don't know if it is worth the time and sacrifice!! Any thoughts? Well, I', like more than 40, and still have some career ahead of me, so...yes, I think it's worth it and motivation is very important. You will need certain college courses to be addmitted, so make sure you know the admission requirements of the dential schools where you are applying. Seems like you understand the time and effort involved to do well. Dental school is competitive. Get as much info as you can from dental school admissions programs and directors. They are quite helpful and can give some good advice. Let me know how it goes. Good luck. I'm on vacation right now so I can't write too much right now but when I wading dental school I was able to drive two hours home like every other weekend. Kind of depends how easy it would be to move and find a job etc. Again getting in to ds is the first step. I have always loved going to the dentist as a child, and i am currently in the 10th grade of HS. Pretty much ever since i was in 6th grade i have wanted to be a dentist and to this day i still do! my question how long would it take to become a pediatric dentist in schooling, ect.? How long? Read on here on the blog and ou'll find out. 4 years of University (undergraduate) usually resulting in a degree. Then 4 years of dental school, then 2 years of Residency in Pediatric Dentistry. Yep, a long time, but worth it. I'm a senior in college currently working on my Pre-dental course work. I have been doing a lot of research on Pediatric dentistry lately because even though the career path sounds great (I simply love working with kids), I haven't found any source that addresses an option of working in a hospital as a pediatric dentist. I really don't want to start my own practice and would really like to work at a hospital. Is this something that is common or unheard of? Most Pediatric Dentists do work some in the Hospital, but only for a few of their patient's needs. Most are in private practice. If you do not wish the hassle of running a practice, there are other options. Sounds like you may be interested in an academic career too. There is a great need for Pediatric Dentistry faculty memebers. They work with students of course, do some research and yes, work in hospitals. There are a few hospital based postgraduate programs that are based in hospitals like Cincannatti Children's Hospital, -a top notch program. The military has some positions, and public health/government positions...There are lots of options. Im currently in my second year of college and am considering becoming a dentist. How difficult is it to get a job after completing dental school? As you can read here, your "job" opportunities would be quite good. Contact schools directly to get information. One of the residents one year behind me at LSU Pediatric residency was from Puerto Rico. I am freshman Bio major in a private university and i am making mostly As in my classes except Bio I got A on the 1st quarter B- 2nd qtr B- 3rd qtr. do u think i should switch from bio major ! Follow your heart, but I'd say the Freshman year is not a very reliable indicator. Things are generally tough due to having to take a lot of courses for requirements. My Freshman year was my worst as far as grades. Also, sometimes you can have a teacher you really do not sync with in a particular course. An A,B,B in one course doesn't sound bad enough to switch your major to me. I'm sure those debts will be paid off once they practice their profession. great salary there, dentists! I am researching on dentists' financial quotes and thanks to google I found this article. I went to the ADA web site and they're requiring a fee to be able to view the report. Glad you posted the median. is the salary the same in Canada? Thanks for the great post, Dr. Brandon. It's nice to see an accurate article about what dentists go through to get where they are. It's encouraging to see the light at the end of the tunnel. For anyone interested in dentistry as a career, I say to go for it! I'm in my third year at dental school in the northeast of the United States. It is hard work, and I've studied more here than I ever have before. After the first two years, the classes settle down and you get into more clinical work, which I find much more enjoyable and relevant. Also, dental school is extremely expensive. I was worried about how I would finance my education -- my dad passed away from cancer and my mom wouldn't be able to afford it. Luckily, I have been able to get all the money I need through student loans and so has everyone else in my class who doesn't have their parents paying their way. 100% True. It is a rewarding but debilitating profession. But I love it. after your A-levels in the uk do you go to dentist school or university? plz reply really want to find out, wanting to be a dentist. I am not familiar with specifics in the UK. Perhaps other readers here will comment. Also, there is a lot of info here on other posts on dental school. Hi Dr. Brandon. Thank you for your insight. I am a freshman in dental school and am trying to find my path. I am unsure if I want to specialize or not. Thus far I have worked hard on keeping my grades up to keep my options open. The reason I do not want to specialize is that I am 27 and want to start my life and start making some money already! The reason I want to specialize is the possibility of earning an even greater income. I need some advice... Should I specialize or not? Could I take extra courses once I graduate and still earn the same income as a specialist? If you read carefully, as far as income you can earn just as much as a general dentist as a specialist especially if you are good at what you do and are a good businessman. Yes, it is more likely that a higher income will come with more education. Specialty positions are competitive. Often, there are applicants who have been in practice then returned to get their specialty. 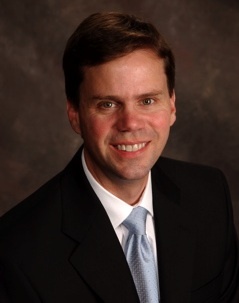 One of our orthodontists was in practice as a general dentist then returned to ortho. An important question is which specialty. Do something you love. Find out through rotations through clinics, visiting private practices, what suits you best. Read my post on the different specialties and the personalities that tend to gravitate to each one. I know the feeling that you want to get out in the real world and start earning a real income,. Sometimes a General Practice Residency) is a way to get more education and experience, pad your resume so to speak, and some actually pay a stipend (ie a small salary) to get you by. There is no right answer. Think about what your first choice would be if money or income was not the immediate concern. The world of an oral surgeon is vastly different from that of an endodontist. You will be doing this every day for the rest of your career. Some residencies are very competitive, so have either a backup plan, or a second choice. Again, feel free to read not only my posts on dental school (linked over there in the sidebar but read the comments and questions at the bottom of most posts. Here is a recent reference for physicians income that tries to take into account the number of hours (there is a lot of time filling out forms after hours etc). Reuters story: Do Specialist Doctors Make Too Much Money? The MEAN NET INCOME for a USA private practice dentist in 2009 was $375,000, and for a private practice pediatric dentist in 2009 was $346,070. 2. The numbers were calculated using data from the American Dental Association (ADA) called “The 2009 Survey of Dental Private Practice Income from the Private Practice of Dentistry” . The salary data represents the MEAN NET INCOME of private practice dentists. I think you're numbers are not too far off. However, as I alluded to in the post above, those surveys have a very low sample size and therefore, are suspect as to accuracy. Some dentists do not fill out these surveys. Why? Perhaps because they are so busy with their successful practices? Or, maybe their income is so low (perhaps just getting out of school) that they are embarrassed to fill out said survey? All I know is analysis of surveys is subject to scientific statistical analysis and sample size (especially for specialties) can skew data. Also, as I stated, time in practice has a lot to do with net income. (ie. just starting out vs. 20 years in practice; owner vs. employee). Overall, though you can see dentists do quite well compared to physicians, etc. Again, all due to very hard, detailed and skilled work. Hi Dr. Brandon, I've read through this entire blog and am really interested in becoming a Pediatric Dentist too! The only thing I'm worried about though is the cost and how I'm going to afford it. I'm a senior in High School and one of my teachers, whose husband is a doctor, told me that it is pretty much impossible to work during Med. School so I'm guessing it would be the same for Dental School. How then would a dental school student receive income? and how long does it take the average dentist to pay of all the debt built up from school and start earning money? Dental school cost and debt are serious issues these days. It's worse now than when I was in school--and that's on top of debt you might accumulate in college. Good news is, there is some financial assistance available. Still, it is usually the case that you get out of school with lots of loans, debt, etc. Most dentists can start earning some sort of income right out of school if that is what they want/need. Yes, in professional school there is little time to work a regular job. I did work one summer for a few weeks at a part time job, but that earned just enough to buy a color tv that I had little time to watch anyways. Many students might find a part time summer job doing something in the lab associated with the medical center or at the dental school helping a researcher. That looks good on your "resume" for residency positions and is educational in itself, but not likely much real income. No good answer except investigate loans, aid and the cost of the public in state school (likely the least expensive), start saving money now, you have 4 years before professional school. Good Luck. Also I would like to add to whatever is said that Dentistry is probably one of the few professions that can get you paid right out of the school. As long as people have teeth and they hurt, a dentist will never go hungry, especially in the USA. Btw, Brandon is an awesome name. Traces all the way back to England with a little Scotts-Irish . Look up Shakespeare, Richard the III, after the battle of Bosworth Field. William Brandon was King Henry VII's bodyguard. Also, Charles Brandon Duke of Suffolk was King Henry VIII's best friend and brother in law. Roughly how much of a dentists' gross income does malpractice take up? I keep hearing from people that malpractice insurance is ridiculous! It's bad in dentistry, but not as bad as say in Obstetrics which is rediculous. It's higher in dentistry if you are an oral surgeon. if you do any kind of in office general anesthesia IV sedation etc. Anytime you deal with people there are liability issues. insurance rates are based on the insurance company's view of the likelihood they will have to pay out a claim or have to deal with a frivolous law suit which also costs money. For most dentists it is manageable, but definatly adds to the overhead and cost of dental care. I've been thinking about being a General Dentist, but also been thinking about being a Pediatric Dentist because I love kids. I have been wanting to shadow my dentist but haven't had the time. Right now I am Majoring in Cell and Molecular Cell Biology. I am pulling A's and B's, but my Calculus grade was a C+. I am also in a Christian college which tuition is about 30,000.I was wondering if you had any suggestions if i should go to a community college while i can, to save money.Reading your Blog and comments has solidified my desire of being a dentist, and I want to thank you for the advise you have given others. Glad to hear about the interest--and good grades. If you have a good record, have all the basic requirements (biology and chemistry courses) requested by the dental school, and you show a trend of improving performance, you should have few problems I would think. I will say an A from a competitive college with a good reputation carries more weight than an obscure less competitive college without a track record. Might ask the admissions office of the local dental school their opinion on your situation. I do think being careful with finances is important-as you can read elsewhere, dental school costs a lot! State schools are somewhat less. I'm a junior in highschool and started thinking about being a Pediactric Orthodontist and have been getting my grades up as much as I can to get into a decent college. I live in Minnesota and think i'm going to UMD here. But do you have any ideas of good grad schools to go to anywhere in the US? I want the best out of this if i'm going to have 10 more years of school! That's a long time away but good to hear you have a plan. There is no best dental school nor best residency Most have to fit the particular students needs. In your area univ of Michigan is a good one. Thank you for the very informative blog. You seem quite passionate about dentistry and helping others. I am 39 years old and have recently decided to quit my profession as an airline pilot and return to college. I have been exploring a number of professions (read: medicine, engineering, law and dentistry). I have a wife and two young boys. Incidentally, my wife in an OB GYN. Apart from the study of law, it appears to me that dentistry combines many of the professions I have mentioned and in some ways my current position as a pilot. I also have a penchant for the entrepreneurial aspects of private practice. So my concern is as follows: I have just begun the process of accumulating the pre-requisite classes and as such will be working that element for the next two years while preparing my application to dental school. I will be, at best, 41 when entering dental school. I read your bit about dentists not generally working up to 65 and am concerned. I live in Colorado and take pretty good care of myself but know little of the physical demands of dentistry. Do you know of anyone that has worked to 65 or over or is that unheard of? Sorry for the over indication that dentists retire early due to physical demands. Dentistry offers the option to work well past 65. No one is going to ask you to retire. I personally know of several still drilling and filling in their upper 70's. I would think being a pilot would be just as likely to run into some kind of physical limitations. I would encourage you to pursue your dream, find out what it takes, and shat the daily routine would be. There are a lot of posts here on the blog on dental school and dentistry as a career. Don't forget to read the comments too. Good luck. Dental school does place a lot of demands, especially time demands. A lot of people have completed dental school while married and with children. I would suggest a spouse be very much on board and supportive of the endeavor. In you case, a wife will not see you as much as often as she has become accustomed. There is a lot of time devoted to studying. There is as much free time as you care to have, but there is a cost the more time you take away from studies. The actual classes do not take up any more time than a full time job. At times there is some night time lab work you may have to do, but there are weekends, etc It is not drudgery. It can be done--one of by partners did so--married and with a young child. A dream and a passion will see you through. Just make sure those in your family share your dream as well. - Just my opinion. Dr. Brandon, thank you so much for a very inspiring and simply put post. I also appreciate all the time you put in to answer all the different questions posted. I will start dental school this coming Fall, and will graduate in 2015. This post was definitely a moral booster! IT IS JUST AS COMPETITIVE!!! My girlfriend and I both applied this past year. I applied to dental school, and she applied to medical school. I have an overall GPA of 3.92 (22 on the DAT) and she has a GPA of 3.84 (32 on the MCAT). I got into 6 out of the 11 dental schools I applied to, and she got into 10 of the 21 schools that she applied to. I am extremely passionate about dentistry as a profession, and it really aggravates me when people chose dentistry for the money or because they think it is easier to get into than medical school. That used to be the case a very long time ago, but surely is no longer the case. Piece of advice: SHADOW a dentist and test your manual dexterity skills before deciding on dentistry as a profession. My cousin dropped out of dental school after his first year and is now in Medical school, because he totally hated the manual dexterity aspect of dentistry. I made my decision to pursue dentistry in highschool after my dad, who is a physician, made me assist both physicians and dentists. I fell in love with dentistry because of the fact that you get to fix the problem with your own hands and relieve peoples aches on the spot, as opposed to letting the medication do the work for you. Do not listen to me or anybody else. Find out for yourself if you really want to pursue dentistry or not. I will all of you guys the best of luck, work hard and it will definitely pay off!! What a great comment! Thanks. Well, I'm going to college next month, and for the past year I have been researching heavily on what I want to be. Dentistry is what I have in mind. I have always wanted to be in the medical field, but I figured being a actual doctor is time consuming, and I'd hate to be on call all the time. Dentistry just seems like a better career choice, that way whenever I get my own business started I have flexible hours, and be my own boss, and manage a family. I know this one local dentist who I admire greatly! He just seems like he has it made. I also have a strong stomach, and I just think that teeth are fascinating because every time I talk to someone I always stare at their teeth to see if they are messed up :) Its weird, I know, but maybe I'll have a passion to be a dentist. The actual reason I ask you guys if I'm cut-out to be a dentist is because I like science A LOT, but math I HATE! I'm just really worried about the courses, especially MATH courses! So here is my grades from 9th to 12th. Maybe it will better your opinion. Physical Science~ A' s both sem. 12)Trig/Pre- Ap Calculus- C for trig & B for Cal. ( I worked HARD to get these grades. The teacher (once again) was originally a English teacher, but I found Calculus was much easier than Trig for some reason. Sorry, for telling you my life story!! Well, now that you know do you think I could be a dentist? Also, what is the grossest thing you have ever seen while working? I'm determined to do the work, and I'm actually excited to do it. Brittany, I think you have the interest, enthusiasm and ability to become a dentist. Read more here on the blog, especially comments others have made about dental school and my answers. I would not worry too much about the math if your other grades are really good. It is more important what your college grades are than high school. By the way dentistry takes a lot of time too, so do not think it is an easy ride. I am actually "on-call" as I write this comment. Keep up with things here on the blog, as I have a book coming out on dental school that may answer some of your concerns. I will have a way to order online it once it is published. Garry, That's a lot of questions. I'm glad you are asking, but I don't have space here to answer adequately. I have a book coming out within a few months so stay tuned to the blog here. The book would answer many of your questions. That would help I think. Also, read here on the blog posts about income and dental school--read the comments too. Basically, there is no "easy" way to become a dentist. It is hard work, and yes, a little blood. To be an Orthodontist, there is 4 years of college, 4 years of dental school, and two years of Orthodontic residency to specialize. Plus ortho is competitive. I am in a dental assisting program right now, through my high school. And right now I am just wavering between a hygienist and a dentist. Which one do you personally believe is more worth wild? :) Pros and Cons or something? Thanks. Good grief, dentistry is much more rewarding in my opinion. Of course, I am biased. It takes a lot more sacrifice to become a dentist. Dental hygiene is a wonderful career as well. Do your research and see what both careers involve. Hang out with a dentist and talk to a hygienist. I have a book coming out shortly on dental school that may be if interest as well. Good luck. I have a question, is it still possible to get a bachelors degree in dentistry with a G.E.D? The problem is I'm a couple years behind in my high school academic level and was planing on getting the G.E.D this following year, but dentistry is a career path that I wish to take. Thank you, your response would be highly appreciated. It does not matter so much I think whether you have a regular high school diploma or a GED. What is more important, is that you perform well in college. After high school you need three to four years of college BEFORE you enter dental school. There is no such thing as a bachelors in dentistry in the US. You major is something like Chemistry, Biology (or Sociology for that matter), usually getting your bachelors degree in that, then you apply to dental school which is 4 years beyond the bachelors degree to get you doctorate. Looks like you are motivated and have a good start on your academic and career path. A good grade profile is very important as you can read here and in all my posts on dental school. My new book covers all this stuff in greater detail. In fact, my book was written specifically for someone like you and for those currently in dental school trying to decide on specialization and what to do once they are finished. Please seriously consider taking a look at the book. You can get the book on Amazon and for a little less as an e-book. The link is at the top right side of any page of my blog (the picture with the cure pigtailed girl). Click that to link to the book site. Also, click on dental school over there on the right side under general topics to see all the dentla school posts in one place. Look at the coment sections too as lots of people like you have asked similar questions. Good luck. If you are right for dentistry it is an awesome profession, and in many ways superior to medicine. I dont know if you still read this but if you do. I currently have around a 3.8 GPA after my first year of college. I knew coming out of high school that i wanted to go into dentistry so i majored in Exercise Science because it put me on schedule to finish all the correct prerequisites but a lot of people said that majoring in Biology was better, what is your recommendation? Also, I am told that getting into dental school is very very tough. I have shadowed a Pediatric dentist a few times because thats the line i would like to go into because i love kids and I've always found dentistry interesting. Do you have any tips, ideas, or anything that you recommend me doing in order to put me ahead of others when applying to dental school? I plan on applying to University of Florida and Nova Southeastern because they are both in Florida and thats where i live. I am pleased to see someone so interested on our great profession. If you read enough here you will see the actual major you have is not as important as other things, so long as you get good grades in the required courses and sciences. I don't want to seem like I am trying to sell you something, but my book addresses much of your concerns in great detail. Just click on the book cover (the little girl's picture) on the upper right side of the page to see the Amazon listing (hardcover and kindle). I encourage you to read it to find out a lot more than I can type here. There is a lot of tips there as well as here on the blog under my posts on dental school. Make sure to check out the comment sections as well. Great post and look into the intricacies of becoming and achieving a dentist salary. @anonymous - wow, that's an incredible amount of debt.. you're very smart for looking into marketing firms in the region - there's no reason to go it alone, especially when the more clients you bring in, the higher your salary will be - great thinking there. I wish anyone going for their degree the best of luck - keep putting in the hard work necessary! Any experience you can get will be helpful as far as entering dental school. 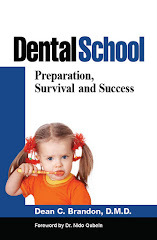 Read my book for more details on entering dental school and proper preparation. I have no idea about paid positions. By working five days a week and eight hours a day, the salary for dental assistant will normally range from $24,000 to $46,000 per annum. Compared to a dentist and a dental hygienist, the salary for dental assistant is quite lower. is the "salary" of dentists on commonly googled websites (read: bls.gov/cnnmoney/glassdoor/etc)accurate? They have ranges of 70k-200k, 315,000+ for specialists. I've been told (by a current dental student) that these are the SALARYS of dentists (read: work for someone, hospital, etc etc) whereas it seems you have had experience with much higher potential then what is published as you've alluded to with good biz skills and such. But how do you think the astronomical price of dschool (roughly 200k for tuition at most instate public schools nowadays) plus the emergence of dental chains and the potential for midlevel providers to become a bigger part of the picture for dental care will impact the earning potential of a new-era dentist. Good observations there. Yes, employees are paid less (usually) than employers/entrepreneurs. Yes, the cost of tuition, etc has risen and the average debt after finishing dental school forces many to accept employee positions right after school rather than being able to invest in starting a practice right away. With time most should do fine and have the positions they really desire. Midlevel providers could become a problem, but not so much anytime soon. I encourage you to check out my book that addresses this and other related things in more depth than the blog here. Good Luck! Hi Dr. Brandon, I'm a sophomore in high school and am trying to decide on a career. I've always been thinking about becoming a doctor and think an oncologist would be a good choice. However, 8 years of med school and 6 years of residency just seems like too long of a time. And i don't think I'm the type of person that can deal with death very well. However, I do believe I have the skills to be a dentist. I enjoy interacting with people and helping them, and I'm also very interested in Biology, but not that interested in chemistry and physics. I also enjoy working with kids so I think pediatric dentistry would be good for me. I'm just curious to know, what do you think is the best and worst thing about your job? I mean, I've always been fascinated with the body and how we're all "wired", but I'm just not sure if dentistry is right for me. I think maybe in the beginning I'd be grossed out about going into people's mouths but I know I'd get over it. What do you think is the grossest thing you've ever encountered? I'm just really confused because right now I'm debating over pre-med and pre-dental and I feel like I need to decide soon so I can make the right choices about other things, such as places to volunteer, summer programs to enroll in, courses to take, etc. I'm not sure if you still read this, but it'd be wonderful if you could reply back. First, I suggest you read my book. It would answer many of the questions you have and is written with someone such as yourself in mind. It is available in hardback or e-book formats. Just click on the link on any page at the upper right side. Grossness is not a big issue, but although Pediatrics is great, there is a lot of emotion involved, not only the child's, but the parent's. Although we do not deal with serious issues such as death (like an oncologist would on a daily basis) there are certainly serious issues of surgery, medical diseases and conditions which must be addressed, including risks of anesthesia and medical complications. Please read more here on the blog--comments too. There is a lot here. Good luck!